It’s safe to say that every dog owner’s greatest fear is losing their dog. It is, unfortunately, something that can’t always be controlled. A dog or cat can always find a way of sneaking out of the house and running away forever. It’s even worse when that pet belongs to a family. Imagine the heartbreak! 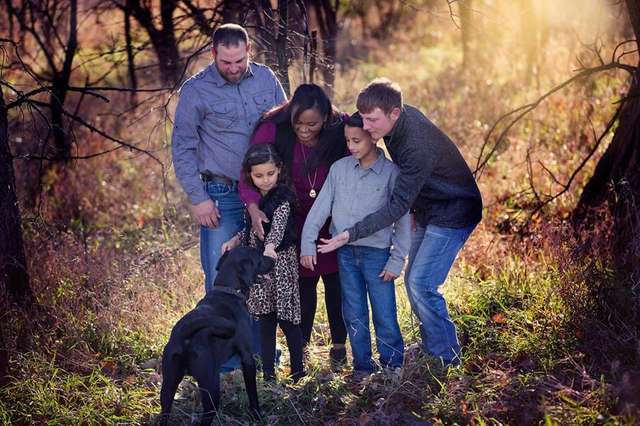 It happened to the Krier family, who loves going on adventures with their pup all the time. 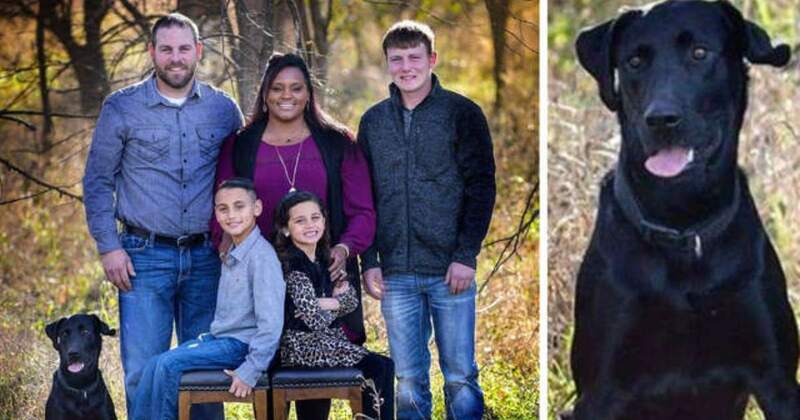 Their dog, a black Lab named Bo, really loves adventures. 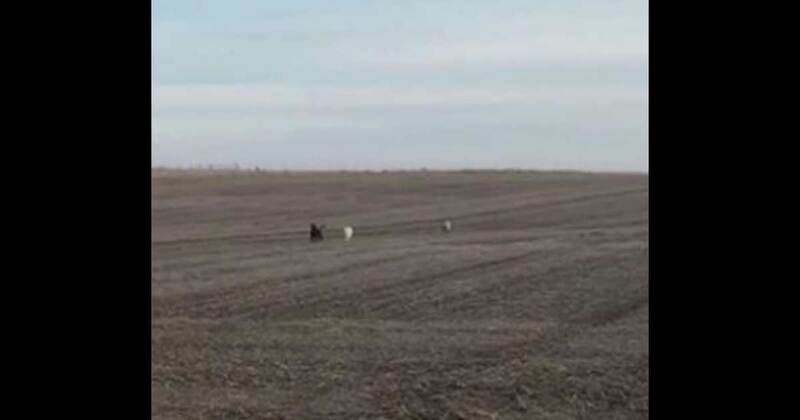 So much that he managed to slip away from the rest of the family when he was exploring the open fields near the family’s property in Kansas. 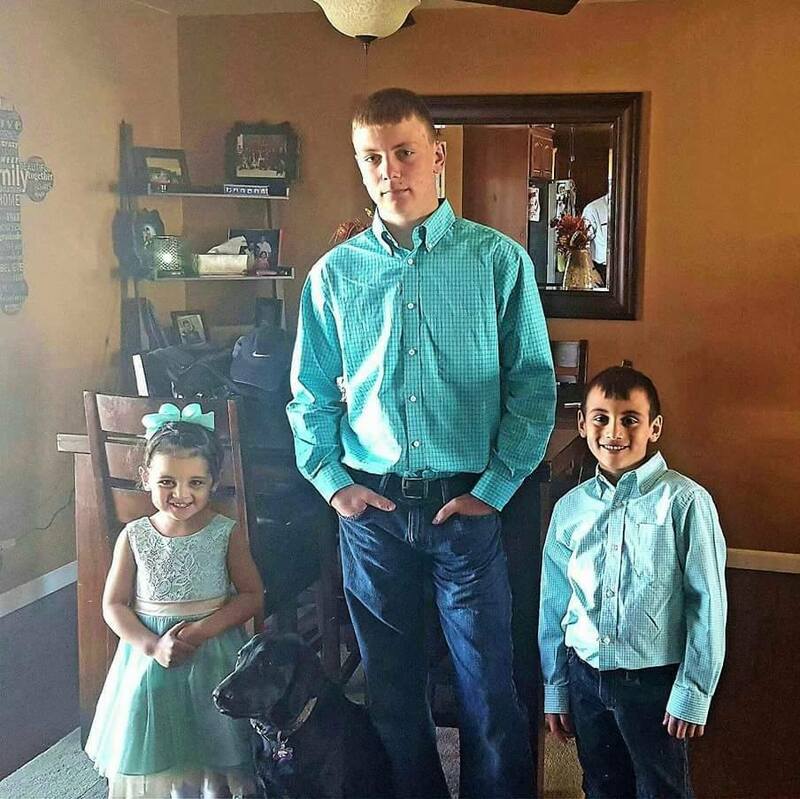 As any family would be, the Kriers were worried sick as soon as they noticed his disappearance. “We had been searching for him nonstop,” Laura Krier shared. Apparently, Bo was feeling a little bit lonely, because when he snuck away he managed to meet not one, but two new friends. At least he wasn’t alone! A day later, Laura heard that a dog fitting Bo’s description had been discovered roaming around in a field 6 miles away from the house with two companions. 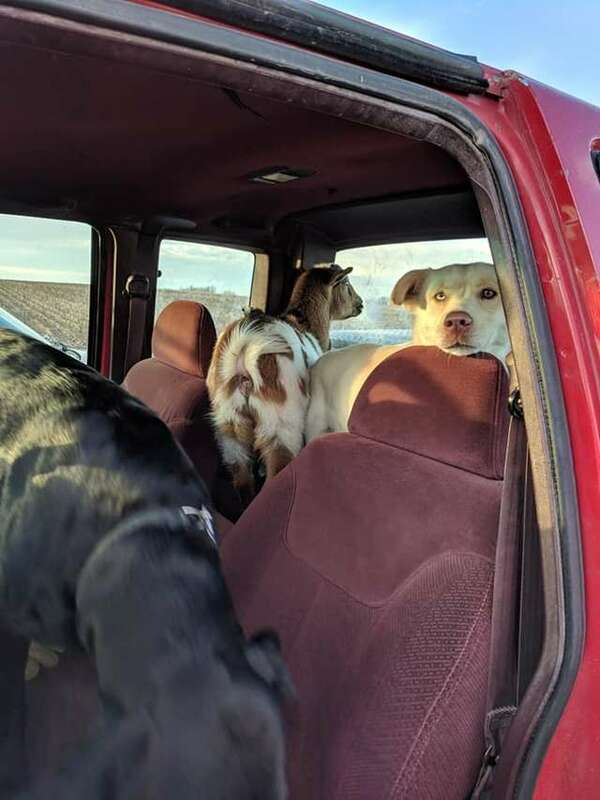 Laura’s husband, Kyle, drove to the spot to pick up their long-lost pooch only to find his new friends. See video of what he discovered below. 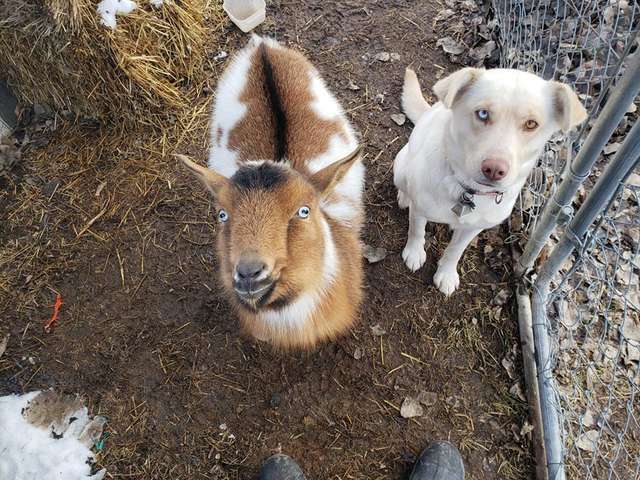 He was spotted with another dog and a goat. While it’s an unusual pairing, the Krier family was familiar with the two. They are named Ozzy and Libby, and they belong to Krier’s neighbors, Chris and Shawna Huggans. Regardless, it’s clear that Bo left and managed to hatch quite the plan with the other two. And most importantly, everyone was safe and sound. Not that that means they should ever run off again, though! It was a new and exciting experience for the animals, but also for their owners! While they are an unlikely pair, we sure hope this means that Bo, Ozzy, and Libby will all get to hang out with each other more often now. Especially because their neighbors! Do you think the Kriers and Huggans will start setting up pet play-dates?